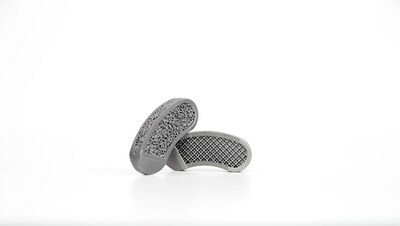 ROCK HILL, S.C., April 1, 2019 — (PRNewswire) — 3D Systems (NYSE: DDD) announced today three global manufacturing leaders – Nokia, rms Company, and GF Precicast – have integrated its additive manufacturing solutions to transform their production workflows. Through the integration of 3D Systems' Figure 4™ or DMP platforms, these manufacturers are able to achieve design freedom, increase agility, scale production, and improve overall total cost of operations. Nokia - a global leader in telecommunications, information technology, and consumer electronics - has added 3D Systems' Figure 4 Standalone to its "Factory in a Box" mobile manufacturing solution – demonstrating how manufacturers can stay ahead of the demands of industry 4.0.
rms Company – a trusted supplier to top medical device manufacturers throughout the world - has expanded the use of 3D Systems' DMP platforms to apply metal additive manufacturing to new applications in order to meet customer requirements and generate new revenue opportunities. GF Precicast - an advanced technology provider for the global aerospace and industrial gas turbine (IGT) markets, has integrated 3D Systems' metal additive manufacturing platform as an efficient, cost-effective alternative to investment casting of super alloys. "3D Systems is expanding its production workflow solutions use case by use case, through our collaboration with global manufacturers," said Vyomesh Joshi, president and chief executive officer, 3D Systems. "Our unique ability to apply software, hardware, materials and services, specifically tuned for key verticals such as medical device design and manufacturing, aerospace and defense, and consumer goods is helping our customers achieve greater productivity, durability, and repeatability and lower their total cost of operation." In 2018, Nokia partnered with several advanced technology providers to unveil the first-ever "factory in a box" concept. The intent was to demonstrate how manufacturers can stay ahead of the demands of Industry 4.0 through agile production capabilities that can be packed, transported and brought back into service in a matter of hours. At Hannover Messe 2019, opening today in Hannover, Germany, 3D Systems is proud to showcase its Figure 4 Standalone plastic 3D printer as the newest technology to be integrated in Nokia's "factory in a box." The integration of additive manufacturing alongside augmented reality/virtual reality (AR/VR) and robotics, all powered by Nokia private 4G / 5G connectivity, results in a semi-automated production workflow. "After the positive feedback we received for our factory in a box concept last year, it was important to reach a new level with version 2.0," said Grant Marshall, VP supply network & engineering, Nokia. "We did so in terms of connectivity, because factory in a box 2.0 is integrated into the Nokia Worldwide IoT Network Grid and has Nokia Digital Automation Cloud on board. But we also wanted to add new and advanced technology like 3D printing. 3D Systems' Figure 4 Standalone was an obvious choice because of its high throughput and six sigma repeatability. These capabilities are exactly what we want to showcase as part of our conscious manufacturing solution where speed, accuracy, and durability are critical." rms Company (Minneapolis, Minnesota) is a large contract manufacturer to the medical device industry. While the company's core competency has historically revolved around precision machining and ancillary services, three years ago rms purchased its first 3D Systems ProX® DMP 320 metal 3D printer. Since then, rms has acquired 11 more ProX DMP 320 printers with two DMP Flex 350 printers on order. "We made the decision to integrate metal additive manufacturing into our service offering," said Lee Zachman, president, rms Company. "Our customers require products that can only be manufactured with additive technology, and we've made the investments necessary to support them. 3D Systems' application engineers collaborated with us to design and optimize workflows and ensure a smooth integration of the equipment. As a result, we've been able to increase capacity through new applications and generate new sources of income. We see continued growth in the metals additive space and are committed to this technology." GF Precicast (Novazzano, Switzerland) an advanced technology provider for the global aerospace and industrial gas turbine markets, uses metal additive manufacturing – specifically 3D Systems' DMP Factory 500 and DMP Factory 350 - as an efficient, cost-effective alternative to investment casting of super alloys. "GF Precicast was an early adopter of the DMP Factory 500," said Paolo Gennaro, managing director, GF Precicast Additive SA. "We've seen great success incorporating this system into our production workflow to produce structural components. We're in the process of certifying these components produced with additive technology, using super alloys that are able to improve performance while reducing costs." At AMUG, attendees will have the opportunity to hear first-hand from rms Company and GF Precicast about how they are scaling their businesses with 3D Systems' metal additive manufacturing solutions. Additionally, 3D Systems' President and CEO, Vyomesh Joshi will lead a session with Chuck Hull, 3D Systems' co-founder and CTO, about how AM is transforming manufacturing. The company's application and product development engineers will also lead several sessions in the Training Lab, sharing their expertise on high quality, silicone part production though eggshell casting, discuss effective quality analysis for metal additive manufacturing, and demonstrate how to optimize metal additive manufacturing for serial production of large parts. At Hannover Messe 2019, attendees will have the opportunity to view 3D Systems' portfolio of solutions and talk with the company's experts in hall 6, booth K01. Attendees can also visit the Nokia booth (hall 6, booth H10) to see Figure 4 Standalone in Nokia's "factory in a box." For more information please visit the company's website.